The Mexican government has announced new efforts to save the critically endangered vaquita from extinction, following a widespread advocacy campaign by groups including the World Wildlife Fund and the Leonardo DiCaprio Foundation. The memorandum includes a permanent ban on fishing nets that often unintentionally trap the animals and an increase in enforcement for such an effort. The news was praised by groups including the WWF, which, alongside DiCaprio, began a signature campaign last month to urge increased protections for the vaquita. More than 200,000 people joined the call. “Today’s agreement marks a key step forward in the fight to save the critically endangered vaquita and ensure a sustainable future for the people and wildlife of Mexico’s Upper Gulf of California,” the group said in a statement. 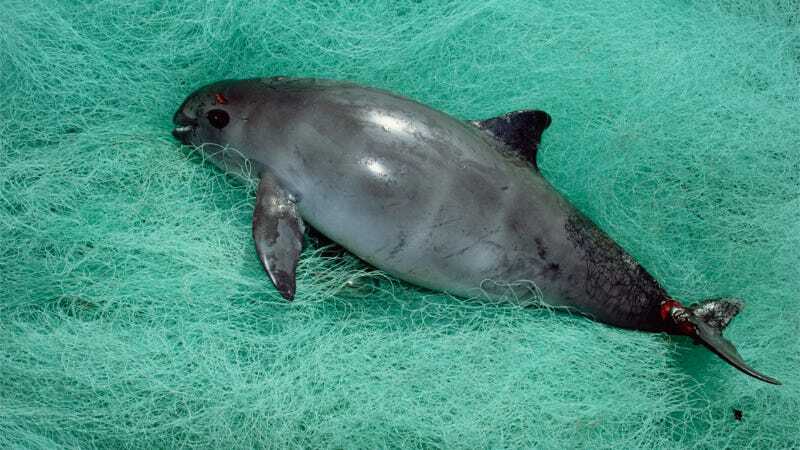 Populations of vaquitas, small, elusive porpoises nicknamed “pandas of the sea,” have plummeted in recent years following a spate of illegal fishing operations in their habitat, Mexico’s Gulf of California. It’s estimated there are fewer than 30 vaquitas left in the wild. The animals are often caught in large gillnets used to catch a critically endangered species of fish called the totoaba, whose swim bladders are prized on the black market in parts of Asia. Called “aquatic cocaine,” the bladders can sell for $10,000 a kilogram. In recent months, scientists, conservationists and the Mexican government have waged a desperate battle to save the vaquita, including an increase in patrols and the outsourcing of some policing efforts to the activist group Sea Shepherd. Some researchers are preparing efforts to trap the few vaquitas that remain and breed them in captivity; however, such efforts have never been undertaken before, and some fear it could kill more vaquitas in the process. While such plans have remained controversial, the WWF said any efforts to sequester the animals must include attempts to return them to the wild once populations recover, like initiatives to protect the California condor. “WWF believes that any effort to capture and provide sanctuary for the remaining vaquita and breed them in captivity must be explicitly linked to a plan to return vaquita to the wild once their habitat is secure,” the group said. Nick Visser is a reporter covering the environment for The Huffington Post. Originally based in New York, he now lives in Sydney.